Dit... Dit... Dit... Okay, I’ll stop! 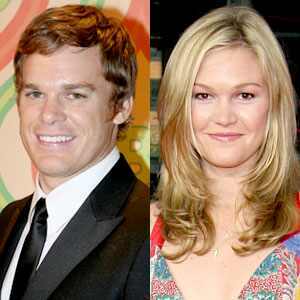 “...a mysterious young woman who forms a unique relationship with Dexter (Michael C. Hall) in the wake of the death of his wife. Further information from TV Squad confirms that Stiles will appear in ten of the season’s episodes... and that Julie Benz (who is reported to be currently in Nice, France) will also return to the show (ostensibly as a ghost perhaps?) in the season premiere.